Lucca is only about 45 miles from our next day’s destination, Firenze, so we had the better part of the day to explore it. We started out desperate and starving: no cash money (remember last evening’s dinner?). 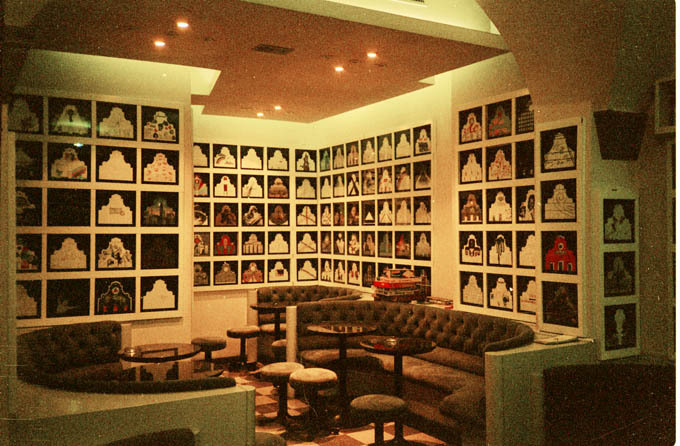 We had to find an open bank and make cambio (exchange) before we could show our faces in polite cafe society. We headed on foot for the main shopping street, as identified in Bantam, ordered two cappucinos with the last of our cash, and asked for directions to a bank. All was well. Fortified with the miniscule breakfast that Italians consider sufficient, we walked half the streets of Lucca before visiting the Guinigi museum near its afternoon closing. 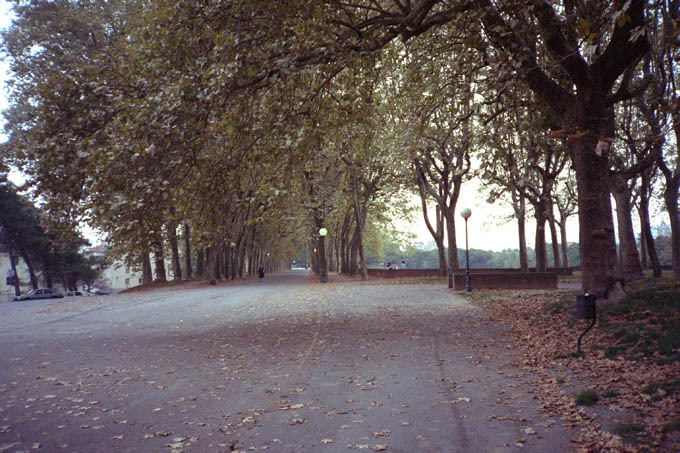 Lucca is an intimate and encompassable city. Everything within the walls is to human scale. Cars are not forbidden there, but are mercifully infrequent once off the main thoroughfares. Streets are narrow; buildings are 4 stories or so, none higher but the churches and a few torres. (On one of the towers trees grow; it’s a favorite postcard subject.) Residences and shops are cheek-by-jowl. The streets are like hallways, at the ends of which are rooms — piazzas. One magical place we visited is an oval of apartments / shops built on the walls of a Roman amphitheater, some stones of which are visibly incorporated into the later structures. The whole interior is a cobbled plaza; it’s probably the largest open space in the city. 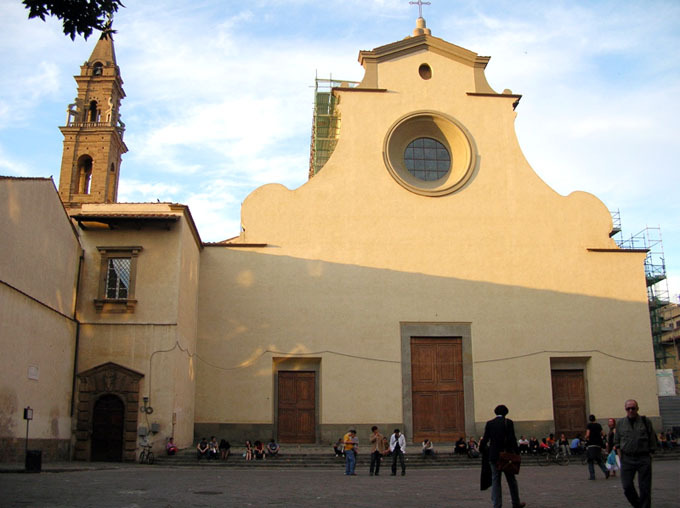 The Guinigi museum is not major, not on the scale of those in Firenze, but pleasant withal. We were the only visitors. A guard followed behind us turning on lights in each gallery that we entered, and turning them off again as we moved on. She apparently had no languages but Italian. We were spending far too much time looking at the art for her liking. As closing time approached and still we dawdled in the galleries, the guard fetched a colleague to talk French to us. (Did we look French to him? Is that the only other language he had? Why didn’t the lady guard try Italian? Etc…) After relying on Alice for almost all basic communication needs for several days, I was delighted that my French flooded back and I conversed with the guard with as much facility as if we had been in Paris. We scooted as requested. 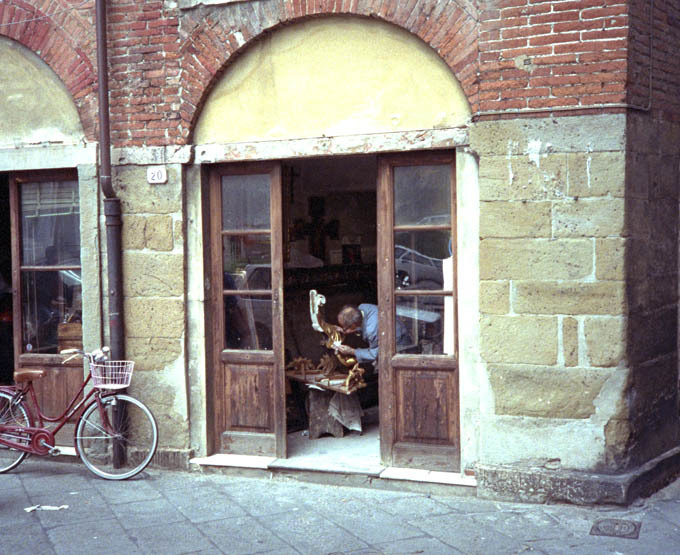 A Firenze so far is a city of many surprises — posh shops and craftsmen’s workrooms… gilders, a wood carver. Stick to the side streets. K The tiny modest shops give me hope that at least in this city, in this country, the small craftsmen who give the street definition and purpose are not being priced out of existence. The Boboli is a favorite of the city’s bats; good hunting. Alice’s delight in being here lights up the entire neighborhood. 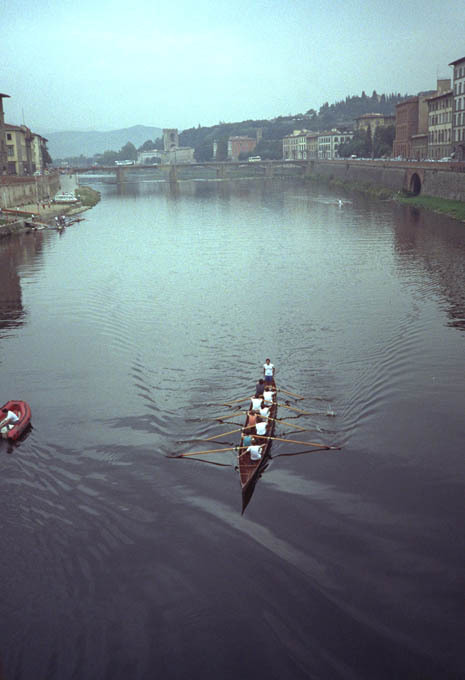 We walked, rambled really, through Florence. Our ostensible destination was the Pitti Palace (now a museum) and the adjacent Boboli Gardens, but the real agenda as always was to absorb the place, get the lay of it. We reached the Boboli Gardens (the Pitti had already closed for the day) and sat for awhile amid the mobs of German, Italian, French, American… tourists until a loudspeaker broke the evening calm with an announcement in all of these languages and more that the garden was closing. We left and wandered the narrow streets of the Oltrarno and found the Santo Spirito church and plaza. [Note added 2008-05-08:] On a Web travel forum I got wind of a book that had been published of Mariotti’s art project. One of the forum posters, who was then resident in Firenze, said she could pick up a copy at Cafe Ricchi (!) and mail it to me upon her return to the U.S. This was arranged and I have the book in hand.